This article is about the genre of music. For other uses, see Soul music (disambiguation). Soul music (often referred to simply as soul) is a popular music genre that originated in the African American community in the United States in the 1950s and early 1960s. It combines elements of African-American gospel music, rhythm and blues and jazz. Soul music became popular for dancing and listening in the United States, where record labels such as Motown, Atlantic and Stax were influential during the Civil Rights Movement. Soul also became popular around the world, directly influencing rock music and the music of Africa. According to the Rock and Roll Hall of Fame, soul is "music that arose out of the black experience in America through the transmutation of gospel and rhythm & blues into a form of funky, secular testifying". Catchy rhythms, stressed by handclaps and extemporaneous body moves, are an important feature of soul music. Other characteristics are a call and response between the lead vocalist and the chorus and an especially tense vocal sound. The style also occasionally uses improvisational additions, twirls and auxiliary sounds. Soul music reflected the African-American identity and it stressed the importance of an African-American culture. The new-found African-American consciousness led to new styles of music, which boasted pride in being black. Soul music dominated the U.S. R&B chart in the 1960s, and many recordings crossed over into the pop charts in the U.S., Britain and elsewhere. By 1968, the soul music genre had begun to splinter. Some soul artists developed funk music, while other singers and groups developed slicker, more sophisticated, and in some cases more politically conscious varieties. 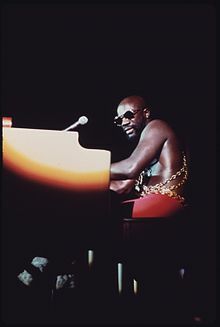 By the early 1970s, soul music had been influenced by psychedelic rock and other genres, leading to psychedelic soul. The United States saw the development of neo soul around 1994. There are also several other subgenres and offshoots of soul music. The key subgenres of soul include the Detroit (Motown) style, a rhythmic music influenced by gospel; deep soul and southern soul, driving, energetic soul styles combining R&B with southern gospel music sounds; Memphis soul, a shimmering, sultry style; New Orleans soul, which came out of the rhythm and blues style; Chicago soul, a lighter gospel-influenced sound; Philadelphia soul, a lush orchestral sound with doo-wop-inspired vocals; psychedelic soul, a blend of psychedelic rock and soul music; as well as categories such as blue-eyed soul, which is soul music performed by white artists; British soul; and Northern soul, rare soul music played by DJs at nightclubs in Northern England. According to AllMusic, "[s]oul music was the result of the urbanization and commercialization of rhythm and blues in the '60s." The phrase "soul music" itself, referring to gospel-style music with secular lyrics, was first attested in 1961. The term "soul" in African-American parlance has connotations of African-American pride and culture. Gospel groups in the 1940s and '50s occasionally used the term as part of their names. The jazz style that originated from gospel became known as soul jazz. As singers and arrangers began using techniques from both gospel and soul jazz in African-American popular music during the 1960s, soul music gradually functioned as an umbrella term for the African-American popular music at the time. Important innovators whose recordings in the 1950s contributed to the emergence of soul music included Clyde McPhatter, Hank Ballard, and Etta James. 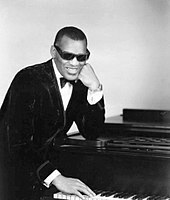 Ray Charles is often cited as popularizing the soul music genre with his series of hits, starting with 1954's "I Got a Woman". Singer Bobby Womack said, "Ray was the genius. He turned the world onto soul music." Charles was open in acknowledging the influence of Pilgrim Travelers vocalist Jesse Whitaker on his singing style. Little Richard, who inspired Otis Redding, and James Brown both were equally influential. Brown was nicknamed the "Godfather of Soul Music", and Richard proclaimed himself as the "King of Rockin' and Rollin', Rhythm and Blues Soulin'", because his music embodied elements of all three, and since he inspired artists in all three genres. Sam Cooke and Jackie Wilson also are often acknowledged as soul forefathers. Cooke became popular as the lead singer of the gospel group The Soul Stirrers, before controversially moving into secular music. His recording of "You Send Me" in 1957 launched a successful pop music career. Furthermore, his 1962 recording of "Bring It On Home To Me" has been described as "perhaps the first record to define the soul experience". Jackie Wilson, a contemporary of both Cooke and James Brown, also achieved crossover success, especially with his 1957 hit "Reet Petite". He even was particularly influential for his dramatic delivery and performances. 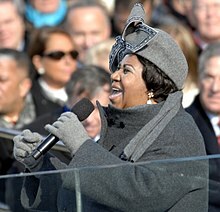 The most important female soul singer to emerge was Aretha Franklin, originally a gospel singer who began to make secular recordings in 1960 but whose career was later revitalised by her recordings for Atlantic. Her 1967 recordings, such as "I Never Loved a Man (The Way I Love You)", "Respect" (written and originally recorded by Otis Redding), and "Do Right Woman, Do Right Man" (written by Chips Moman and Dan Penn), were significant and commercially successful productions. 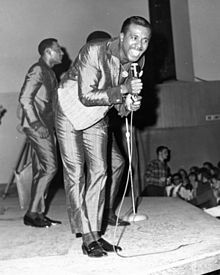 Soul music dominated the U.S. African-American music charts in the 1960s, and many recordings crossed over into the pop charts in the U.S. Otis Redding was a huge success at the Monterey Pop Festival in 1967. The genre also became highly popular in the UK, where many leading acts toured in the late 1960s. "Soul" became an umbrella term, used to describe an increasingly wide variety of R&B-based music styles – from the dance and pop-oriented acts at Motown Records in Detroit, such as The Temptations, Marvin Gaye and Stevie Wonder, to "deep soul" performers such as Percy Sledge and James Carr. Different regions and cities within the U.S., including New York City, Detroit, Chicago, Memphis, New Orleans, Philadelphia, and Muscle Shoals, Alabama (the home of FAME Studios and Muscle Shoals Sound Studios) became noted for different subgenres of the music and recording styles. By 1968, while at its peak of popularity, soul began to fragment into disparate subgenres. Artists such as James Brown and Sly and the Family Stone evolved into funk music, while other singers such as Marvin Gaye, Stevie Wonder, Curtis Mayfield and Al Green developed slicker, more sophisticated and in some cases more politically conscious varieties of the genre. However, soul music continued to evolve, informing most subsequent forms of R&B from the 1970s-onward, with pockets of musicians continuing to perform in traditional soul style. As disco and funk musicians had hits in the late 1970s and early 1980s, soul went in the direction of quiet storm. With its relaxed tempos and soft melodies, quiet storm soul took influences from fusion and adult contemporary. Some funk bands, such as EW&F, The Commodores and Con Funk Shun would have a few quiet storm tracks on their albums. Among the most successful acts in this era include Smokey Robinson, Jeffry Osbourne, Peabo Bryson, Chaka Kahn, and Larry Graham. Hits were made using a quasi-industrial "production-line" approach. Some considered the sound to be mechanistic, but the producers and songwriters brought artistic sensitivity to the three-minute tunes. Brian Holland, Lamont Dozier and Eddie Holland were rarely out of the charts for their work as songwriters and record producers for The Supremes, the Four Tops and Martha and the Vandellas. They allowed important elements to shine through the dense musical texture. Rhythm was emphasized by handclaps or tambourine. Smokey Robinson was another writer and record producer who added lyrics to "The Tracks of My Tears" by his group The Miracles, which was one of the most important songs of the decade. Stax Records and Atlantic Records were independent labels that produced high-quality dance records featuring many well known singers of the day. They tended to have smaller ensembles marked by expressive gospel-tinged vocals. Brass and saxophones were also used extensively. Stax Records, founded by siblings Estelle and James Stewart, was the second most successful record label behind Motown Records. They were responsible for releasing hits by Otis Redding, Wilson Pickett, The Staple Singers and many more. Ahmet Ertegun, who had anticipated being a diplomat until 1944 when his father died, founded Atlantic Records in 1947 with his friend Herb Abramson. Ertegun wrote many songs for Ray Charles and The Clovers. He even sang backup vocals for his artist Big Joe Turner on the song, "Shake Rattle and Roll". Dominated by Berry Gordy's Motown Records empire, Detroit soul is strongly rhythmic and influenced by gospel music. The Motown sound often includes hand clapping, a powerful bassline, strings, brass and vibraphone. Motown Records' house band was The Funk Brothers. AllMusic cites Motown as the pioneering label of pop-soul, a style of soul music with raw vocals, but polished production and toned-down subject matter intended for pop radio and crossover success. Artists of this style included Diana Ross, the Jackson 5, Stevie Wonder, and Billy Preston. Popular during the 1960s, the style became glossier during the 1970s and led to disco. The terms deep soul and southern soul generally refer to a driving, energetic soul style combining R&B's energy with pulsating southern United States gospel music sounds. Memphis, Tennessee label Stax Records nurtured a distinctive sound, which included putting vocals further back in the mix than most contemporary R&B records, using vibrant horn parts in place of background vocals, and a focus on the low end of the frequency spectrum. The vast majority of Stax releases were backed by house bands Booker T & the MGs (with Booker T. Jones, Steve Cropper, Duck Dunn, and Al Jackson) and the Memphis Horns (the splinter horn section of the Mar-Keys, trumpeter Wayne Jackson and saxophonist Andrew Love). Impactful and underrated Birmingham soul is a driving and strongly rhythmic style, which combined elements of gospel music with the uptempo energy of R&B. As a soul city it is thoroughly influenced by the hard driving "southern soul" of the Civil Rights Movement era and the musical and social legacy of that time. The rise of Muscle Shoals Alabama as a recording center was in part influenced by professional musicians coming north from Birmingham such as Barry Beckett, of the Muscle Shoals Rhythm Section also known as the "Swampers" and bringing their musical influence with them to the Tennessee Valley. Similarly Detroit soul is influenced to a large extent by Birmingham and its downhome soul roots because many of its performers had migrated north from Alabama as well. The most notable are 3/5 of the Temptations, Melvin Franklin of Montgomery, and Paul Williams, and Eddie Kendricks both of Birmingham. The New Orleans soul scene directly came out of the rhythm and blues era, when such artists as Little Richard, Fats Domino, and Huey Piano Smith made a huge impact on the pop and R&B charts and a huge direct influence on the birth of Funk music. The principal architect of Crescent City's soul was songwriter, arranger, and producer Allen Toussaint. He worked with such artists as Irma Thomas ("the Soul Queen of New Orleans"), Jessie Hill, Chris Kenner, Benny Spellman, and Ernie K. Doe on the Minit/Instant label complex to produce a distinctive New Orleans soul sound that generated a passel of national hits. Other notable New Orleans hits came from Robert Parker, Betty Harris, and Aaron Neville. While record labels in New Orleans largely disappeared by the mid-1960s, producers in the city continued to record New Orleans soul artists for other mainly New York City- and Los Angeles-based record labels—notably Lee Dorsey for New York–based Amy Records and the Meters for New York–based Josie and then LA-based Reprise. Based primarily in the Philadelphia International record label, Philadelphia soul (or Philly Soul) had lush string and horn arrangements and doo-wop-inspired vocals. Thom Bell, and Kenneth Gamble & Leon Huff are considered the founders of Philadelphia soul, which produced hits for The O'Jays, The Intruders, The Delfonics, The Stylistics, Harold Melvin & The Blue Notes, and The Spinners. Blue-eyed soul is R&B or soul music performed by white artists. The meaning of blue-eyed soul has evolved over decades. Originally the term was associated with mid-1960s white artists who performed soul and R&B that was similar to the music released by Motown Records and Stax Records. The Righteous Brothers, The Rascals, Spencer Davis Group, Steve Winwood, Van Morrison & Them and The Grass roots were famous Blue-eyed soul musicians in 1960s. The term continued to be used in the 1970s and 1980s, particularly by the British media to refer to a new generation of singers who adopted elements of the Stax and Motown sounds. To a lesser extent, the term has been applied to singers in other music genres that are influenced by soul music. Artists like Hall and Oates, David Bowie, Teena Marie, Hamilton, Joe Frank & Raynolds, Frankie Vali, Christina Aguilera, Amy Winehouse and Adele are known as Blue-eyed soul singers. In the early 1960s, small soul scenes began popping up around the UK. Liverpool in particular had an established black community from which artists such as Chants and Steve Aldo emerged and go on to record within the British music industry. As a result, many recordings were commercially released by British soul acts during the 1960s which were unable to connect with the mainstream market. Nevertheless, soul has been a major influence on British popular music since the 1960s including bands of the British Invasion, most significantly The Beatles. There were a handful of significant British Blue-eyed soul acts, including Dusty Springfield and Tom Jones. In 70s Carl Douglas, Real Thing and Delegation had hits in UK chart. American soul was extremely popular among some youth sub-cultures like the Mod, Northern soul and Modern soul movements, but a clear genre of British soul did not emerge until the 1980s when a number of artists including George Michael, Sade, Simply Red, Lisa Stansfield and Soul II Soul enjoyed commercial success. The popularity of British soul artists in the U.S., most notably Amy Winehouse, Adele, Estelle, Duffy, Joss Stone and Leona Lewis, led to talk of a "third British Invasion" or soul invasion in the 2000s and 2010s. Hyper soul can be described to be a medley of soul and dance music. It maintains the vocal quality, techniques, and style but includes a movement towards technology, materialism, and heightened sexuality and sensationalism in the rhythm and lyricism. It is also remarkable for possessing a more euro sound influence than the other subgenres of soul. The subgenre provides more roles that may be adopted by the song's female subjects and more space to express different facets of gender experience as compared to traditional soul, through the reversal of male-female dynamics and the embrace of dominating and confrontational attitudes. Performers included Timbaland, Aaliyah, Whitney Houston and Destiny's Child. Hypersoul maybe also be seen as a precursor to modern R&B. ^ Max Mojapelo (2008). Beyond Memory: Recording the History, Moments and Memories of South African Music. African Minds. pp. 1–. ISBN 978-1-920299-28-6. Retrieved September 11, 2013. ^ Valter Ojakäär (1983). Popmuusikast. Eesti Raamat. ^ Szatmary, David P. (2014). Rockin' in Time. New Jersey: Pearson. p. 176. ^ a b c d e f BBC Music, Episode guides to Soul Deep – The Story Of Black Popular Music, 2007. Retrieved July 12, 2013. ^ Szatmary, David P. (2014). Rockin' in Time. New Jersey: Pearson. p. 177. ^ a b Barry Hansen, Rhythm and Gospel, in Jim Miller (ed. ), The Rolling Stone Illustrated History of Rock & Roll, 1976, pp. 15–18. ^ a b Maycock, James. 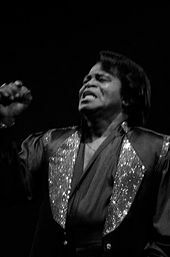 "James Brown: Soul Survivor". PBS. Retrieved April 1, 2014. ^ "Soul music". The New Grove Dictionary of Music and Musicians. 23. London. 2001. ^ White, Charles. (2003), p. 229. The Life and Times of Little Richard: The Authorised Biography. Omnibus Press. ^ Frederick Douglass Opie, Hog and Hominy: Soul Food from Africa to America (Columbia University Press, 2008), chapter 7. ^ Joe McEwen, Sam Cooke, in Jim Miller (ed. ), The Rolling Stone Illustrated History of Rock & Roll, 1976, pp. 113–116. ^ Joe McEwen, Jackie Wilson, in Jim Miller (ed. ), The Rolling Stone Illustrated History of Rock & Roll, 1976, pp. 117–119. ^ Peter Guralnick, Soul, in Jim Miller (ed. ), The Rolling Stone Illustrated History of Rock & Roll, 1976, pp. 206. ^ Jon Landau, Otis Redding, in Jim Miller (ed. ), The Rolling Stone Illustrated History of Rock & Roll, 1976, pp. 210–213. ^ Whitburn, Joel (2004). Top R&B/Hip-Hop Singles: 1942–2004. Record Research. p. 215. ^ Dobkin, Matt (2004). I Never Loved a Man the Way I Loved You: Aretha Franklin, Respect, and the Making of a Soul Music Masterpiece. New York: St. Martin's Press. pp. 7–8, 187–188. ISBN 0-312-31828-6. ^ Rolling Stone 2010, 500 Songs, p. 112. ^ a b "Motown: The Sound that Changed America". Motown Museum. Retrieved October 27, 2016. ^ Erlewine, Stephen Thomas. "Percy Sledge: Artist Biography". AllMusic. Retrieved October 27, 2016. ^ Huey, Steve. "James Carr: Artist Biography". AllMusic. Retrieved October 27, 2016. ^ Brown, Mick. "Deep Soul". Telegraph. Retrieved October 27, 2016. ^ "I'll Take You There by The Staple Singers". Songfacts. Retrieved October 20, 2016. ^ Lisle, Andria (June 25, 2014). "Hi Records producer Willie Mitchell set the tone for polished Memphis soul". Wax Poetics. Retrieved October 25, 2016. ^ Hurt, Edd (August 17, 2012). "Chips Moman: The Cream Interview". Nashville Scene. Retrieved October 25, 2016. ^ "Remembering Chips Moman". Graceland: The Home od Elvis Presley. June 14, 2016. Retrieved October 25, 2016. ^ Hogan, Ed. "Don Davis: Artist Biography". AllMusic. Retrieved October 25, 2016. ^ Wynn, Ron. "The Detroit Emeralds". AllMusic. Retrieved October 25, 2016. ^ "Chicago Soul". AllMusic. Retrieved October 25, 2016. ^ "Psychedelic Soul". AllMusic. Retrieved October 26, 2016. ^ Baker, C. J. (April 20, 2016). "The 10 Best Political Protest Songs of the 70s". Spinditty. Retrieved October 26, 2016. ^ Stephen Thomas Erlewine, Stephen Thomas Erlewine. "The Meters:Artist Biography". AllMusic. Retrieved October 27, 2016. ^ Huey, Steve. "War: Artist Biography". AllMusic. Retrieved October 27, 2016. ^ Erlewine, Stephen Thomas. "Daryl Hall & John Oates: Artist Biography". AllMusic. Retrieved October 27, 2016. ^ Prato, Greg. "Tower of Power: Artist Biography". AllMusic. Retrieved October 27, 2016. ^ Chideya, Farai (November 30, 2013). "Soul Train and Pain: New Book Explores The Legacy of Don Cornelius' Empire". The Huffington Post. Retrieved October 29, 2016. ^ a b "It all Started with Soul Train". Soul Train Cruise. August 12, 2015. Retrieved October 29, 2016. ^ ""Soul Train" creator Don Cornelius commits suicide". Reuters. February 2012. Retrieved November 10, 2017. ^ Winterson, Nickol, Bricheno, Pop Music: The Text Book (Edition Peters) 2003. ^ Pareles, Jon, Estelle Stewart Axton, 85, A Founder of Stax Records (New York Times) 2004. ^ a b c "Pop-Soul". AllMusic. Rovi Corporation. Retrieved July 15, 2012. ^ J. S. Harrington, Sonic Cool: the Life & Death of Rock 'n' Roll (Milwaukee, WI: Hal Leonard Corporation, 2002), ISBN 0-634-02861-8, pp. 249–50. ^ Gilliland, John (1969). "Show 52 – The Soul Reformation: Phase three, soul music at the summit. [Part 8]" (audio). Pop Chronicles. University of North Texas Libraries. ^ Strachan, Robert (2014). Britfunk: Black British Popular Music, Identity and the Recording Industry in the Early 1980s. Aldershot: Ashgate. p. 69. ^ P. Humphries, The Complete Guide to the Music of the Beatles (Music Sales Group, 1998), p. 83. ^ R. Gulla, Icons of R&B and soul: an encyclopedia of the artists who revolutionized rhythm (Greenwood Publishing Group, 2008), p. xxii. ^ "Disco Savvy: The Complete Disco Guide to Delegation - disco and funk". Discosavvy.com. Retrieved September 29, 2018. ^ G. Wald, "Soul's Revival: White Soul, Nostalgia and the Culturally Constructed Past", M. Guillory and R. C. Green, Soul: Black power, politics, and pleasure (New York University Press, 1997), pp. 139–58. ^ The New British Invasion: Soul Divas 2008 Archived May 27, 2009, at the Wayback Machine The Daily Voice, April 30, 2008. ^ "Chris Hunt - Wigan Casino". Chrishunt.biz. Retrieved September 29, 2018. ^ "What is Hypersoul? (2001) - Riddim.ca". Riddim.ca. Retrieved September 29, 2018.